↑ Text in League of Nations Treaty Series, vol. 23, pp. 164–169. 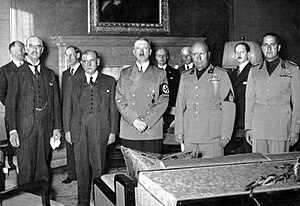 ↑ "Munich Agreement", Encyclopaedia Britannica. Retrieved 6 August 2018.